Norse Gods Asatru is a website devoted to sharing information about both the historic and the modern practice of Asatru, the Heathen religion. We freely share this knowledge with fellow Heathens and those interested in the culture and history of the Old Norse and Germanic peoples. Who can be a Heathen? Anyone called directly by the Old Gods themselves, and anyone interested in learning and practicing the Asatru faith can be a Heathen! Asatru (also known as Heathenry and occasionally as Odinism) means "religion of the Aesir." The Aesir are the gods and goddesses of Asatru, and include Odin, Frigg, Tyr and Thor. Also included in the worship by Asatruar (or Heathens) are the Vanir, the deities who came to live among the Aesir after the war between the gods. 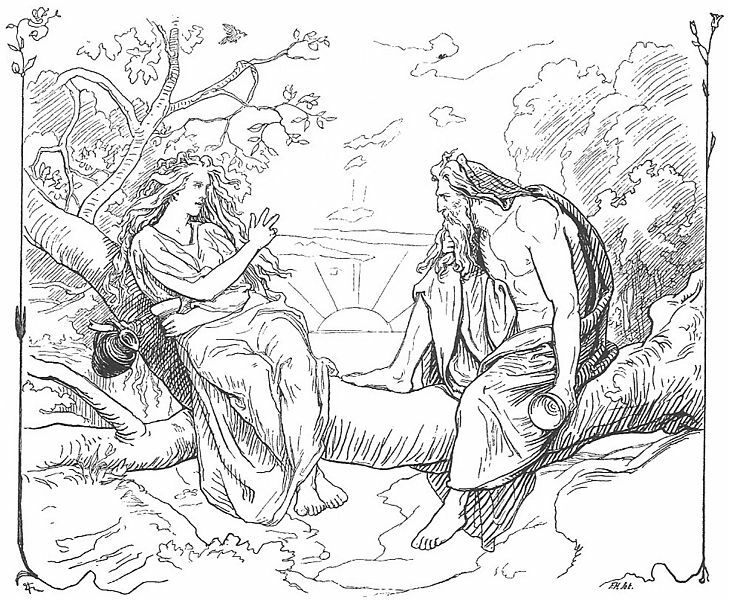 Included among the Vanir are the deities Freyja, Freyr and Njord. All those who are true to the Aesir and Vanir in their hearts, honorable in their actions, and honest in their speech are welcome to worship at the altars of the Aesir and the Vanir, and are accounted true Heathens. Heathens love storytelling, and also the sharing of useful and practical information about our religion. There are probably few who have done more to share their knowledge and wisdom about the Norse gods and goddesses and the Heathen religion than Kveldulf Gundarsson. He has tirelessly studied for many years to amass his vast storehouse of knowledge (one could call it encyclopedic), and has graciously allowed this sharing of his work for the benefit of Heathens worldwide. Thank you, Kveldulf!